“Our customers are much happier now,” said Lanise. 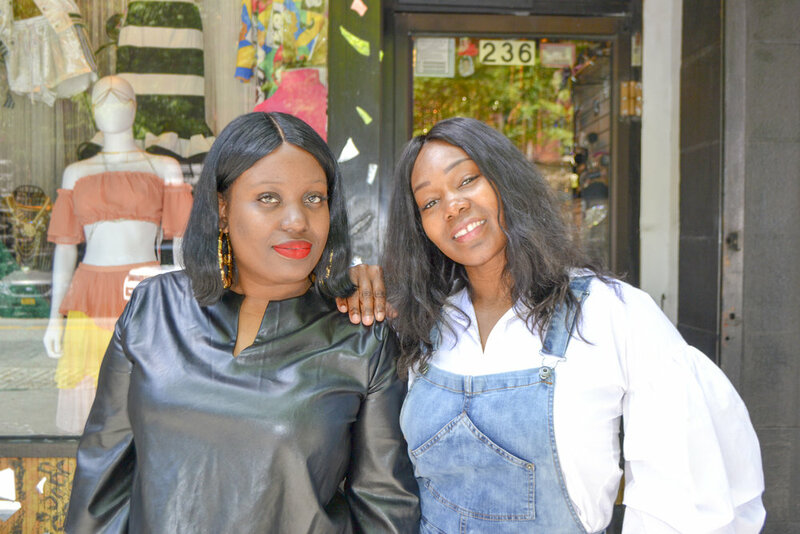 She and her friend Janine co-own Educated Fashion Addicts, a small business in Harlem where they design and sell trendy clothing such as maxi and sequin dresses. With the help of a loan from Grameen America, Lanise and Janine upgraded from their cash-only payment system to a point of sale system that allows consumers to pay with credit cards. As a result, their customer base expanded significantly, and the women paid their loan back completely within a week of implementing the new system. They believe the new system was a lifesaver for their business. “Before, some customers would leave the store because they did not have cash with them,” Lanise noted. Lanise and Janine have been members of Grameen America since early 2018. They joined because they needed the capital and they appreciated Grameen’s low interest rate and the potential to build credit. In addition to being female entrepreneurs, Lanise and Janine are also active members of their community. They support a local initiative that promotes children’s education. In the future, Lanise and Janine hope to make Educated Fashion Addicts a more well-known brand. With their next loan, they plan to focus on marketing. They also want to continue giving back to the community and would like to develop programs that teach children and young people how to start a successful business. They hope to teach others the important entrepreneurship skills that they learned from Grameen, like how to get copyrighted, how to trademark, and how to market a business.